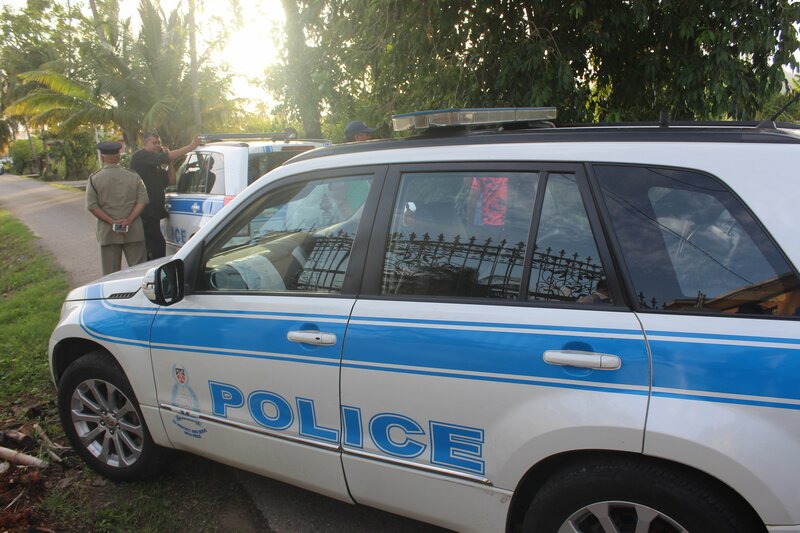 A JOINT team of officers from the Northern Division and the Homicide Bureau searched an area in Arima known as “The Congo,” yesterday, in search of two suspects wanted in connection with the murder of 62-year-old Monica Ruiz. Ruiz was found dead at her home in Sherwood Park, Arima, which is not too far from the Congo, on Saturday. Her hands were bound and police also believe that she may have also been sexually assaulted. Yesterday, senior officers said they are working on information that the killers may have taken stolen items from the victim’s home to the Congo, and advised the public if they purchased stolen items they too will face criminal prosecution. Investigators also combed the area of the murder for camera surveillance footage in an effort to assist them in finding the killers. Police said yesterday the suspects took a number of electronic items from Ruiz’s house, including a refrigerator, a television set and other appliances. They believe the suspects had help to carry away the items. Ruiz, an infirmed woman who has trouble moving around, was last seen alive by her relatives on Friday. According to reports, at around noon on Saturday, one of Ruiz’s siblings visited her with lunch and found her body, bound and gagged, in the bedroom. An autopsy is expected to be carried out today at the Forensic Science Centre, to determine the cause of death. Reply to "Cops search the ‘Congo’"